Here is the perfect weekend package if you’re looking to visit both Nightclubs & Dayclubs. During the day, visit 3 amazing Dayclubs! Then during the evening, do it all over again with 3 amazing nightclubs! All with transportation between venues. Join us for an awesome weekend at a great price! Our intoxicating club crawl tour will take you to one (1) ultra-lounge and three (3) top-rated nightclubs in the world, located on the Las Vegas Strip. Enjoy hassle-free, complimentary access to the top nightclubs, luxury transportation and a dedicated experiences Nightlife Host to guide you throughout the evening. Start at an exclusive ultra-lounge where you will meet your host and enjoy drink specials. From there your host will walk you to the first nightclub. Later, board our party bus dubbed the “Night Club on Wheels” with all-you-can drink beverages and be transported to THREE (3) more of the hottest Las Vegas nightclubs. ♦ Complimentary Liquor while on our Exclusive Party Bus! ♦ Expedited entry by VIP Host and No Cover Charges! ♦ Guests are responsible for meeting at check-in and getting back to your hotel at the end of the night. 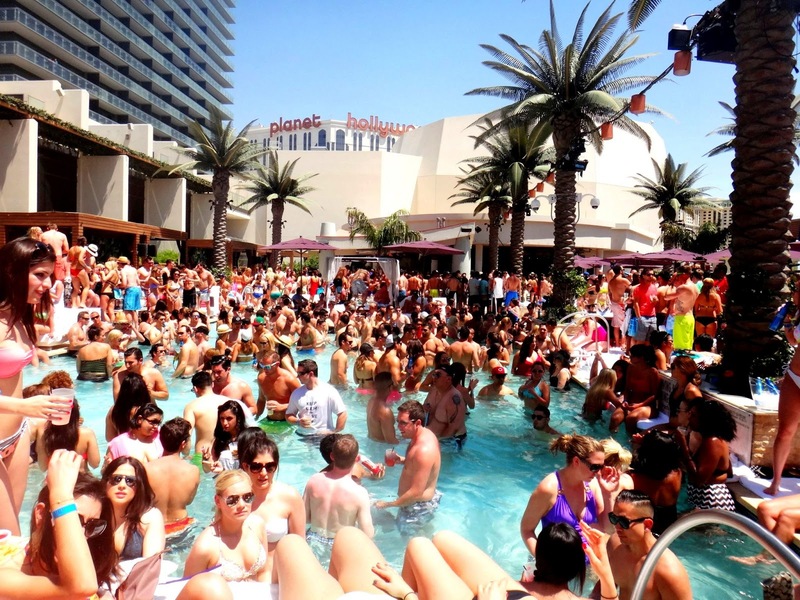 We visit clubs like: Omnia, Hakkasan, Drai’s, Chateau, Jewel, and others! Meet and Greet at the 1st Pool, Bare Pool located at Mirage. Host and Driver Gratuity is not included. Vegas industry standard is 20% of your total bill or a minimum of $10 per guest in your party. TIMES ARE TENTATIVELY SCHEDULED AND MAY VARY DEPENDING ON THE DAY.